UNPO: Somaliland: New Foreign Policy towards African Union to Bring Recognition? Somaliland: New Foreign Policy towards African Union to Bring Recognition? Despite Somaliland being home to a vibrant democracy and a multiparty political system, European countries and the Unites States remain hesitant towards recognizing the country as an independent state – at least until the African Union (AU) has done so. In order to shift the political stagnation of a de-facto status and help the country to achieve full state recognition, analyst Omar Guled argues that Somaliland must intensify its foreign policy towards the African Union. The quest for Recognition is a foregone conclusion thus Africa Union (AU) and Somaliland must now agree on a feasible timetable towards making the former British protectorate the 56th Member of the continental body. The Montevideo convention calls for (1) Permanent population, (2) Government, (3) a defined territory and (4) the capacity to enter into relation with other states Somaliland. The good news is Somaliland has them all. Somaliland is also home to a vibrant democracy and a multiparty system of politics. The country has been ruled by four different presidents for the last 24 years and the current president was a former opposition leader. Somaliland does not receive direct budgetary support like other developing countries do mainly because of its political status but nonetheless with little it receives the country has managed to build schools, hospitals, infrastructure and modern institutions. Somaliland GDP per capita is above that of four established African countries while it is yet to be fully recognised. Such an achievement is a milestone that needs acknowledgement and admiration worldwide given the political and economic constraint the country faces. Though, Somaliland achievement is still a work in progress and therefore more needs to be done to ensure that the development challenges facing her are tackled head on at every level to avoid economic and social marginalisation of society. Suspicion of the outside world- rightly so! Somaliland has fulfilled their side of democratisation process and has made meaningful achievement for the last 24 years that should now warrant an automatic recognition. However so far most of the European countries including the US and Canada are hesitant to award an outright recognition but calls for the African Union (AU) to initiate the charge first. So it is clear from the analysis that the AU is key as far as the recognition of Somaliland is concerned in the African continent but absence of any direct engagement policy from Somaliland side and the continuation of diplomatic silence by the AU towards the independence of Somaliland is what this article assesses. It is strange that most western countries have taken a position of placing such a great importance to the AU when it comes to Somaliland recognition. They genuinely believe that the AU as a governing body has the capacity and the leadership to solve the Somaliland case. Ironically though not a single country among those pushing Somaliland towards the AU route has requested a periodic progress report from the African governing body regarding the Somaliland case to assess whether any progress has been made. Thus lack of political will from the International community to directly recognise Somaliland has caused the nation to wait for 24 years and counting without any clear indication of when will the country ever be recognised. This lengthy duration of awaiting recognition is now calling for a radical change in Somaliland foreign policy particularly towards the AU direction. Somaliland must now demand that the AU establishes a working framework in order to speed up the process of recognition which in my knowledge is both essential and long overdue. According to this 1914 map of Sub Saharan Africa the boundaries of Somaliland are a colonial era inheritance thence not in disoute. According to this 1914 map of Sub Saharan Africa the boundaries of Somaliland are a colonial era inheritance thence not in disoute. The AU as the governing body has for many years lack credibility and political will to deal with many challenges adversely affecting the African continent. Here are some of the few stats that I would like to share with you regarding the AU: did you know that the current chairman of AU is Robert Mugabe, a man who turned Zimbabwe, a country once regarded as a breadbasket of Africa to a nation where inflation is rampant and poverty is beyond statistics. Under the AU watch Zimbabwe moved from being a prosperous economy to a country on transition of becoming a failed state if it is allowed to continue to travel on the same political direction. Most recently the AU has also failed to stop the president of Burundi, a member state of the AU organisation, from changing the constitution of the country which will see him extend office term beyond the two terms constitutionally permitted, hence the move clearly undermines the country's constitution and international norms. Yet in all of the above stated facts the AU has never suspended nor taken any legal action to punish such unscrupulous dictators in contrast however it has promoted and tolerated such behaviours and personality ever since it came into existence. With this in mind it begs the question whether the AU is slowing turning into a pro-dictatorship and anti-democracy governing body and that Somaliland democratic credential poses a threat rather than an opportunity to this Maoist organisation which was formed in the sixty's with Socialist and communist competing ideologies. It seems that the AU has for a long time crafted in an isolation policy when dealing with Somaliland in the hope that such stance will kill off the aspiration of the people of Somaliland while at the same time turn a blind eye towards dictatorship and failed states in the African continent. This blatant double standard should swiftly be brought to an end as it has caused untold misery for the last 24 years with never ending prospect on horizon. Furthermore the AU policy towards Somaliland is also placing the nation on harm's way and exposes Somaliland to further violence with unfriendly neighbours that wishes to harm her and cause political damage. It is against this backdrop I call for an urgent timeframe and a clear path to recognition be jointly agreed with the AU if the continental governing body is genuinely searching for a permanent solution given that Somaliland legal right to statehood is historically unquestionable and undeniable. The question is what options do Somaliland have to end this predicament, in my opinion there are three alternative strategies Somaliland can pursue to change the cause of direction and history. 1. Under the first option is to allow Somaliland to continue on its current political path of passive diplomacy which has provided a progressive hope but somewhat less tangible results as far as the issue of recognition is concerned. Adopting passive strategy has its benefit as it allows Somaliland to progressively build and improve state institutions and local infrastructure which are both vital to the development of the country. However on the negative side the one big disadvantage of pursuing such strategy is the fact that it has clearly prolonged the recognition cause which so far has taken 24 years and still counting. Another downfall of passive strategy is that it provides a breeding ground for the likes of Puntland and others in the region to use proxy wars against Somaliland in order to sabotage the hopes and aspiration of the people of Somaliland. The classic example is the continuation of Puntland violation of the territorial integrity of Somaliland knowing full well the demarcation of the region that separates the two territories but continues to violate international laws nonetheless because Somaliland is yet to be internationally recognised as an independent country and so does all of its existing borders. Therefore under the first strategy the effect of prolonging Somaliland recognition plays directly to Puntland and other regional proxy with the continuation of daily provocative action against the Republic of Somaliland in the absence of firm commitment from the AU. 2. Alternatively, the second strategic option calls for an active approach where Somaliland intensifies its foreign policy and set a clear timetable with the AU that will pave the way for a formal recognition to take place within a time frame agreed by both parties. Immediately after the 2016 election Somaliland must pursue a relentless foreign policy one that will be based on 24 years of separation as a clear mandate to the world of its intent to never again be part of a failed union. The AU can facilitate this process by agreeing to set an international sponsored referendum supervised by world powers that will respect the wishes of the people of Somaliland which will be expressed through the ballot papers. The referendum can be similar to the Scottish referendum held in 2014 which the UK Government won. African Union Has no Alternative but to Recognize Somaliland as its 56th MemberAfrican Union Has no Alternative but to Recognize Somaliland as its 56th MemberThis option calls for legal action to be taken if the AU continues towards the path of isolating Somaliland systematically under such pretext Somaliland must be prepared to confront the AU on legal grounds on the basis of discrimination if the body continues to advocate isolationism and continue to deny the people of Somaliland the right to existence and self-determination. Thus Somaliland must be ready to challenge the African governing body particularly on matters of exclusion of Somaliland affairs at AU summits as matter stands not even an observation status has been forthcoming. One can conclude that Somaliland is currently being sanctioned by the AU covertly while openly promoting Somalia, a junior partner in the union of the 1960, and its federal agenda meanwhile ignoring the success and democratisation of Somaliland. In summary, the second strategy calls for active involvement with the AU including considering legal action where necessary to ensure that Somaliland case is given a full weight and a fair hearing at the AU summit including any joint sessions organised by this governing body. The starting point will be to make a follow up to the 2006 AU assessment study of Somaliland recognition argument including the findings and recommendation stated by the report. 3. Finally, the third option calls for the mobilisation of friends of Somaliland worldwide be it state actors or institutions that are supportive of Somaliland success and its people to come forward and assist Somaliland to bring to an end 24 years of political stagnation of a de-facto status and help Somaliland achieve a full state recognition. Somaliland must inform such influential players about the threats of lack of recognition brings versus the merits of recognition. And must question often whether such friendly countries would want to see the Republic of Somaliland continues to flourish as a free and open society in which case recognition is the only viable solution for such endeavours. 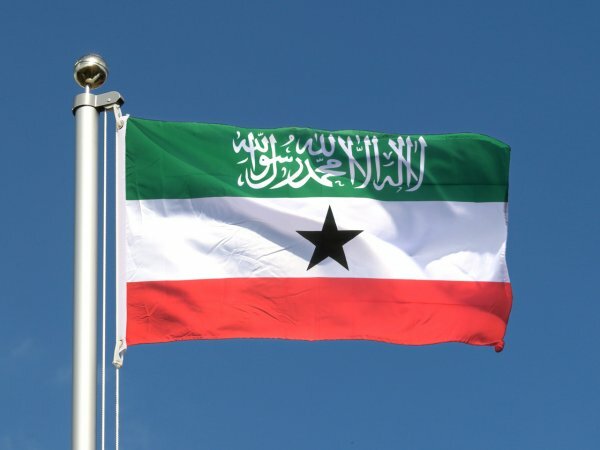 On the other hand Somaliland must equally reach out to those friendly countries and institutions who are undecided and uninformed to explain to them the impact of failing to endorse Somaliland as a sovereign country would have for the region as such actions will be pushing Somaliland towards the direction of totalitarian state the likes of North Korea and Eritrea and could possibly lead to suspension of democracy. Somaliland therefore must convince such nations that good governance must be rewarded and that the best reward one can give to Somaliland is the direct recognition of its sovereignty. So it is clear from the analysis above that isolating Somaliland will be a counterproductive measure to undertake as this will destabilise the region even further and affect the Gulf of Aden shipping lane which currently accounts for 30% of global trade passing on the narrow strip. While the opposite is true that the recognition of Somaliland will have a positive effect and set Somaliland to the path of democracy and be able to join the community of nations through trade and security arrangements like most sovereign countries do. In reality then the options are very time bound and the window of opportunity is slowly shutting down therefore Somaliland cannot remain static with the same status for the foreseeable future, it's inevitable that something will need to give in and I'm afraid that the gains which have been hard fought for the last 24 years could be eroded overnight due to lack of recognition and this will be a tragedy to both the citizens of Somaliland and the peace loving people of the world. Therefore it remains to be seen whether the EU and its member states will take an active role in the near future to help bridge the gap between Somaliland and the AU to agree on a legal framework that will eventually lead to the re-recognition of the Republic of Somaliland and hence avert another failed state scenario from developing in the horn of Africa. To this end it would be a matter of curiosity to pre-empt which strategic option among the three Somaliland will choose from as the current status quo is definitely unsustainable. Time will tell whether there will be Somaliland and Somalia as two separate countries living side by side and both economically prosperous or a continuation of a failed state which we currently have and a denial of Somaliland sovereignty. Note: The above article is written on a presumption that Somaliland and Somalia will fail to agree an amicable divorce and that Somaliland must now pursue other available avenue including seeking direct recognition from AU, EU, and other friendly nations. Somaliland can also seek for international arbitration and ask for international community to intervene and take part in next round of talks with Somalia for a peaceful separation since the international community is the main donor of Somalia Federal Government (SFG) based in Mogadishu.